Welcome to 2017 Savvies! We hope you have had a wonderful Christmas and New Year’s holiday season. 2017 is going to be an amazing year for Australian businesses. 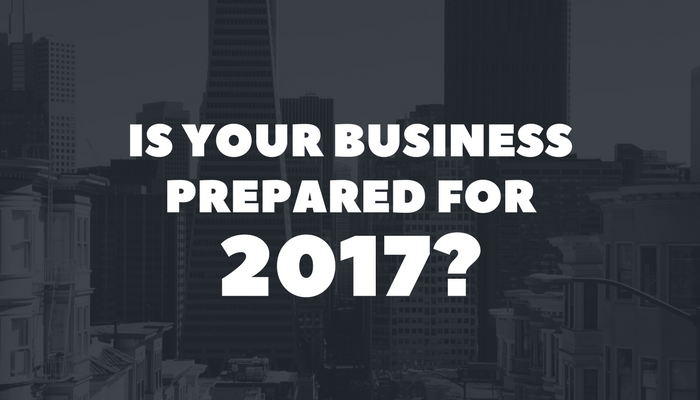 Is your business prepared for the year ahead? It is a wonderful time of year, January. The fresh horizon, the open road, endless opportunities, all yours for the taking. Hopefully you’ve been lucky enough to have a bit of a break to refresh and recharge, ready to tackle the year ahead at full speed. Below is a must read for business owners and leaders; a few key points that have helped us at SavvySME prepare for the year ahead which we thought you might find equally as valuable! Don’t forget to share with your team and colleagues if you think they'd find it useful! With anything, it first comes down to mindset. If we don’t have the right mindset to tackle the opportunities and challenges ahead, we can try to succeed but chances are, at the end of 2017, all we'll be boasting about is that we had the guts to try. 2016 and years previous; good, bad or otherwise have been and gone. Previous months and years have no bearing on this year’s performance. This is one of the greatest hurdles we, as entrepreneurs face. It is an at-times, isolating and debilitating journey and if we aren’t careful, we can let it cripple us and our businesses. We need to let doubts escape our mind, especially as leaders in our organisations. Our teams bounce off our energy and they will either be as enthused as we are every morning we walk into the office, or as unenthused. You can be sure that an enthused workforce outperforms an unenthused one. Mental health and mindset is something we should work on each and every single day; whether it’s allowing ourselves an hour of exercise time in the morning before work, eating better, sleeping enough, or having an hour of solo-time before bed away from work and family. Don't underestimate the impact of your mental health and mindset. Set SMART goals: Specific, measurable, achievable, realistic and timely. This is an oldie but goodie for a reason. We can have all the right intentions to succeed, but without SMART goals, they'll never realise. We need to be specific about our goals in terms of deliverables and timeframes and make sure we measure performance on a week-to-week or month-to-month basis. Not only should we do this for the overall business but encourage our teams to do the same for their individual focus areas. Don’t let the weeks become months and months become years. Set goals, execute and measure strictly. A business comes down to two things; product and/or service AND marketing. However, the fact is we cannot market a bad product or service for the long-term. A good business is formed first and foremost on a good product or service, and has its value-offering marketing itself. Marketing should only come in to leverage a well-performing business, not be the main factor driving its growth. Whether we are a cleaning business or an internet forum, we need to create immense value for our existing and potential customers and users; go above and beyond to create that WOW experience with one's product or service. How do we create value for existing customers? When it comes to our individual businesses, no one person can tell us what will make our product and/or service excellent. We need to constantly get feedback and listen to our customers to work on making their experience with our businesses as best as it can be. Tech companies follow the build-measure-learn loop. The same can be applied to non-tech businesses. Provide one's product or service, gather results and feedback on the experience and learn. Repeat the loop. Make the appropriate adjustments to our product or service, see how well (or not) those changes are received, see where we can make improvements, rinse and repeat. 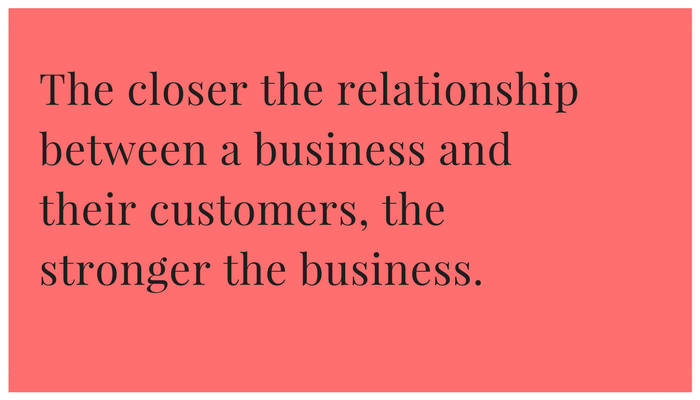 The closer the relationship with our customers, the better our businesses will be for it. Without which, we end up with thousands of dollars invested and a struggling business. Do you know exactly how much value you are or aren't adding to your customers? How do we create value for potential customers? We need to always add value before even considering asking potential customers to purchase from us. It takes at least 7 touchpoints with a customer from the point of introduction to one's business to the point of decision-making (even longer for B2B sales). First we should define who our potential customers are, find out where they live (figuratively), expose them to our businesses and strengthen the relationship over time by consistently adding value to them. At SavvySME, service providers targeting small businesses are able to share their thought leadership and knowledge (through contributing articles and Q&A) with thousands of businesses across Australia and nurture those relationships by regularly sharing value-adding, informative content that help other businesses improve and grow. B2C businesses are able to use social media platforms such as Facebook and Instagram to build rapport with their target market by not only offering entertaining content, but by creating a dynamic conversation with their customer base, showcasing and celebrating their customers’ experiences with their product and/or service. There are other opportunities such as webinars, eBooks, free samples and much more, but it all comes down to which avenues allow our businesses to make the strongest impression and build the strongest relationships. Once we have created value for our existing and potential customers, lay the channels out for them to share their experience with others. This can be anything from giving out business cards for them to pass onto those they think would find our business useful, to asking them to rate and recommend our businesses on SavvySME or Zomato or simply by liking our pages on Facebook. So our customers are coming to us because we offer a good product or service. Take it one step further, make life easier for ourselves and the team by making our value-offerings DIFFERENT. We have to work hard at providing value regardless, but we'll find our efforts go further if we can stand out from our competitors. Sometimes this is a factor of our value-offering, sometimes it is a factor of our marketing, sometimes it’s both. What is it that makes people think of our business specifically when they’re after an app, a legal firm or a cafe? What are we doing differently from the rest of the market? We’re talking about making our efforts go further. Mankind got this concept early on when they discovered the lever, a machine which amplifies an input force to provide a greater output force. Businesses do this through leveraging partnerships and connections. We can do all the work ourselves, or we can find someone else who has what or who we need and leverage their resources and the work that they have already done or the network that they have already built. Whether we're looking to gain exposure to a new market, market a product or simply share an article, build partnerships and connections to get results more efficiently. Always look for ways and avenues to maximise results and minimise efforts. As with our potential customers, define who we need, find out where they live and start building those relationships today, whether or not we need to partner with them right now. In fact, if we need to partner with them now, it is probably too late for us to start building the relationship. If we're looking to connect with other small businesses (from professional service providers to restauranteurs and tradies), SavvySME is a great platform to find and connect with them. If we're looking to connect with corporates, research the right contact through Google or otherwise and connect with them on LinkedIn. If we're looking to connect with social media influencers, they often have email addresses attached to their social media channel specifically for businesses looking to work with them. In each of these cases, whomever it is we wish to connect with, make sure we invest the time in meeting with them in person or at the very least, over the phone. The stronger the relationship, the higher the chances of leveraging that connection. Keep in mind, the same concept with customers applies to partnerships. Always add value to the other party first and see how we can be of service to them before considering asking for anything. This does not directly correlate with the bottom line in the short term, but if we're looking to succeed in the medium to long term, we need to keep abreast of news that pertains to our business, our industry and our market. In this day and age, things are moving at rapid speeds and if we are not aware of what is happening and do not respond accordingly, it is not unlikely our business finds itself left behind. SavvySME is a fantastic resource for a broad business education. As a business owner or leader, it is imperative we expand our knowledge and understanding to every aspect of business, not simply our trade or speciality. 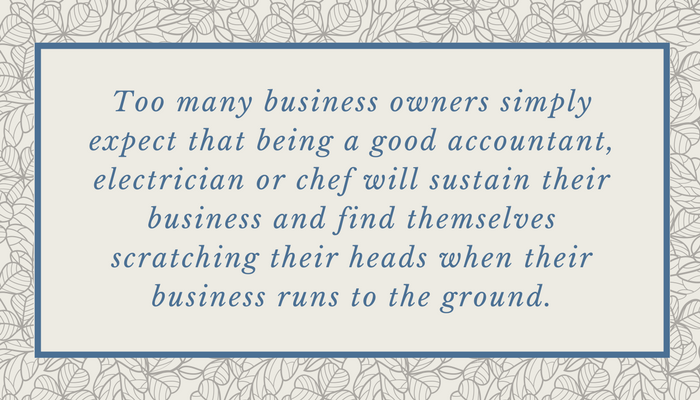 Too many business owners simply hope that being a good accountant, electrician or chef will sustain their business and find themselves scratching their heads when their business runs to the ground. Providing a product or service is only a fraction of what it takes to run a business. Whether we're looking to keep up-to-date with marketing, finance and accounting, online business or business growth, take advantage of the free insights provided by the SavvySME business community. We should be constantly pushing ourselves to learn more and ask questions of other business owners or experts on the platform. Sites like Inc.com and Fast Company are great to stay on top of what’s new in business while TechCrunch and Wired are go-to’s for keeping up with the latest in technology. 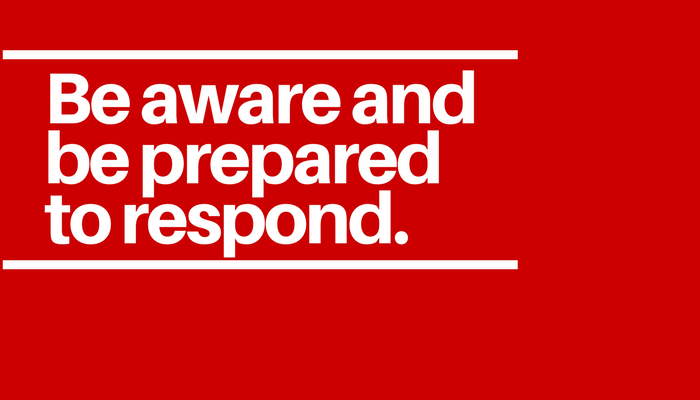 Regardless of which industry we're in, it is important to be aware of technology advancements in this day and age as technology can disrupt the unsuspecting and leave entire industries obsolete if they aren’t prepared to evolve. It is easier to turn a blind eye and hope things go well, possibly ending up like the taxi industry, or we can decide to educate ourselves so that our businesses and our future is in our hands. I hope these few points help you as much as they helped us. To summarise, lead a strong example for your team and be aware that your mindset will determine theirs. Set SMART goals for the business as a whole and for your individual team members and make sure you are rigorous in measuring progress. Create immense value for your existing and potential customers and then lay out the channels for them to share their experience with others. 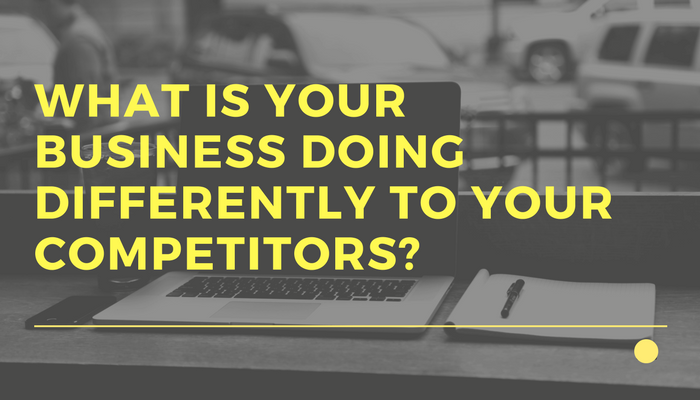 Differentiate your business from your competitors. Leverage your efforts by working with partners and finally, make sure you are constantly educating yourself to be aware of what is happening in your industry and market and are prepared as a business to respond accordingly. We have also produced a printable calendar with important business dates for your convenience. 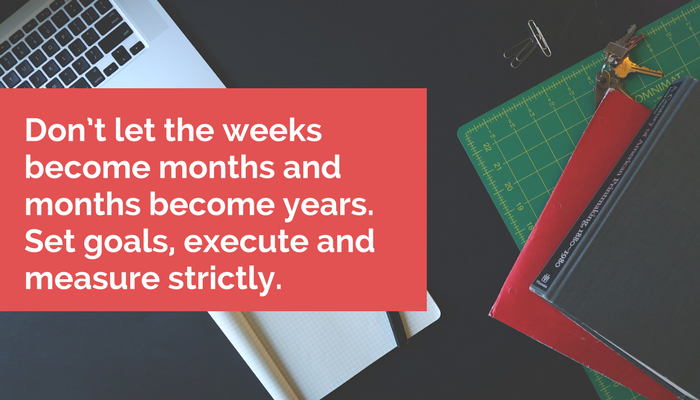 Add any significant dates for your own business to ensure you and your team are set for the year ahead. Don't forget you can share this article and our calendar with your team and colleagues if you think they would find them useful! All the best to you and your business for 2017.